Mark (Wally ) Melhuish has played an incredible 500 games for the Campbelltown Harlequins. 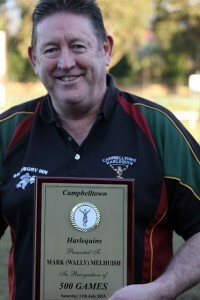 Mark (Wally ) Melhuish represents all that is great about the Campbelltown Harlequins rugby club. He has pulled on the famous jumper and played no fewer than 500 games for the Quinnies, a club record obviously. Last Saturday as part of the Back to Campbelltown day, Melhuish played for third grade and then backed up for a presentation at half time in first grade. His was one of three presentations, the second being Glen Packer inducted as a life member of the Harlequins. In the third, clubman Luke (Nordo) Norton was recognised for a massive 300 games. Norton had reached the 300 club earlier in the day by pulling on the jumper for second grade. 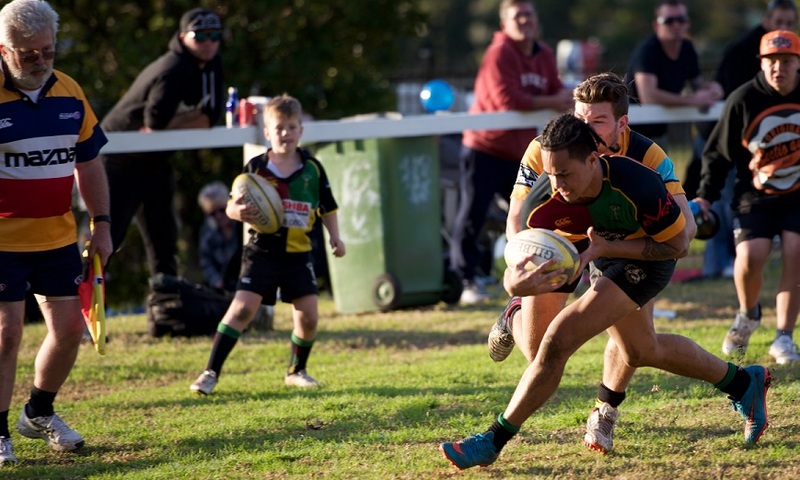 As for the footy, Harlequins hosted Camden Rams in the second round of the local derby. It turned out to be a very successful day for a large and vocal crowd, with plenty of old boys also turning up to cheer the current Quinnies team. Premiership winning captain Adam Berry was there, enjoying the view from the balcony. 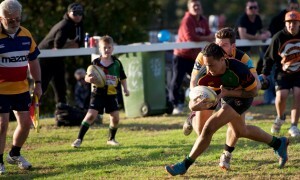 The Camden Rams won Saturday’s local derby against home side Campbelltown Harlequins. In first grade, the Camden Rams took back bragging rights with a 25 – 21 victory after a tight tussle earlier in the game. After going down to Harlequins in round three of the 2015 Illawarra Rugby Premiership, the Rams came to Campbelltown intent on a strong performance against their Macarthur cousins. Campbelltown’s centre pairing Mark June and Fale Seiuli had good games, with skipper Adam Choice and flanker Raura also strong. Halfback Mitch Gordon was awarded Harlequins man of the match. Tries went to centre, Mark June, winger Dowshon Mafi-Tau and replacement Noa Raura. Adam Choice kicked three from three. • The day started with the Colts up against Camden for the second time in as many weeks. A strong performance by the Harlequins 20s saw them romp away with a seven try 43 – 12 win. Tries went to Elijah Leota, Morgan Simpson, Elijah Sa, Dowshon Mafi-Tau, Brendon Martin (2) and Laei Matagia. • After a week off, third grade came back with a strong win over the Rams, 15-5. Tries went to John Soloi and Wise Raitala. John Soloi kicked a penalty goal and Lucas McDonald kicked a conversion. Harlequins man of the match went to Jerry Leota. • Second grade went down 19-10 in a close affair. The only Harlequin try went to winger Evile Evile with a penalty and conversion going to prop Rick Flaxman. Man of the match went to Will Matu. The presentations were held during half time in first grade.